Chris Martin and Rihanna hold hands as they perform at the Paralympics Closing Ceremony. 24. 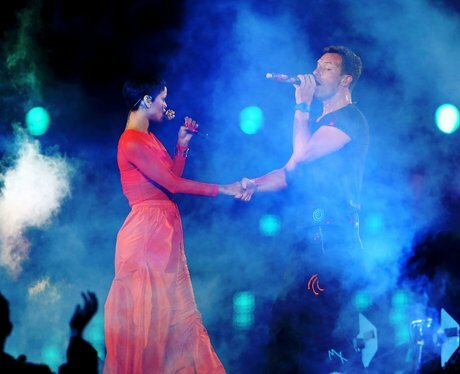 Chris Martin and Rihanna hold hands as they perform at the Paralympics Closing Ceremony.